It is easy for a lawn care company to claim it is the best in its field and the particular area it services. It is a whole different thing altogether to prove it. Roper Lawn Care has been working at providing proof for this claim every single day since we first entered the market. 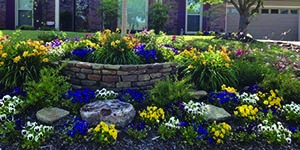 Roper Lawn Care is a Premier Lawn Maintenance company in Memphis, TN dedicated to the complete satisfaction of its clients. In order to achieve this mission, we provide a 100 per cent satisfaction money back guarantee – if you’re not entirely happy with what we have to offer, you will receive a full refund. We ensure the quality of our services by investing a lot of care into the relationships we develop with our clients. 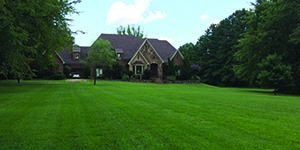 Unlike most other lawn service providers in Memphis TN, we’re all about quality, not quantity. This means that each year we only take on a limited number of customers. We strive to build a special and personal relationship with them. We make sure we understand their specific lawn care needs, since we start from the assumption that no two lawns are the same. As such, we prefer a tailored approach, which we discuss with each client before starting work on any account. Our mission is to provide the best service possible and, to this end, we want to know what services you need. With us, you can be sure you will never have to pay for a service you don’t need. Since being personable, friendly, and humane is at the core of our policies, we make it a point out of maintaining regular contact with each one of our clients. Our staff will periodically contact you and make sure that there are no issues or questions that need to be answered. If you have any issues with our plans, products, treatments, or staff, we want to know about it and work through the problems together with you. We believe that transparency and efficient communication is the key to any successful business relationship and while we won’t harass you with calls, we will spend every effort necessary to make sure you’re happy with our work. 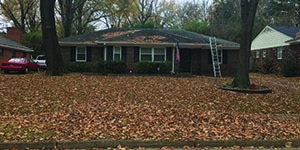 Roper Lawn Care Memphis provides the full range of lawn care services, starting with basic lawn maintenance, and on to bush trimming, leaf removal, and sod instillation. 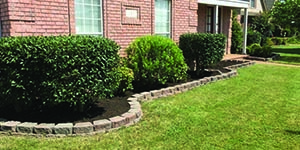 Why work with a different contractor for each one of these services, when our one-stop-shop approach can ensure that you get all your lawn care needs met, with considerably less effort on your part. Simply contact us, schedule an initial meeting for a free estimate, and let us handle all the work for you. At the end of the day, you won’t believe how good your lawn looks. Do not hesitate to give us a call today – and if you’re truly happy with our work, spread the word! We look forward to hearing from you and finding out everything about what we can do to help! 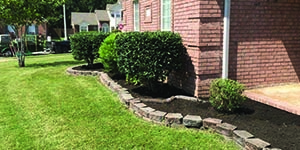 If you are not completely satisfied with our Lawn Care Services, simply contact our Customer Care Team and let us know. We will return to your property and correct the problem for FREE!